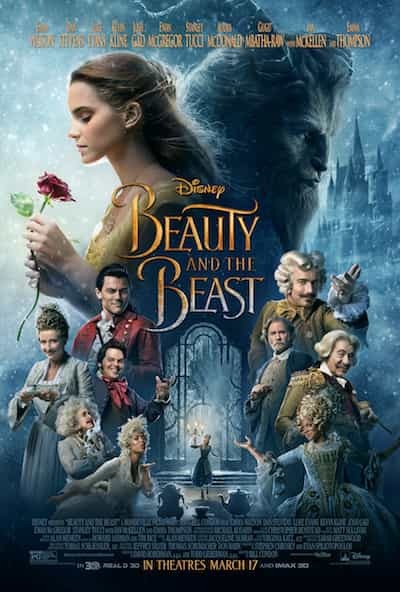 Belle (Emma Watson) comes to realize that underneath the hideous exterior of the Beast (Dan Stevens) there is the kind heart of a prince in Disney’s “Beauty and the Beast”, a live-action adaptation of the studio’s animated classic. “Beauty and the Beast” is Disney’s best live action remake yet. It has a near perfect amount of the original’s songs and story mixed with new backstories, new original music and new side-plot lines. It makes a great movie for either a date night or a night out with the family. The main plot is, of course, the same as the original’s, but with new details and changes to add more depth. For example, the curse is now extended to say the castle’s inhabitants will all turn more and more into the common objects as each petal falls, until either the curse is broken or the last petal falls, completing the curse. The setting was beautiful with elaborate sets and great computer graphics for the castle’s inhabitants and the Beast himself. I nearly forgot I wasn’t looking at real footage of a talking clock or teapot. 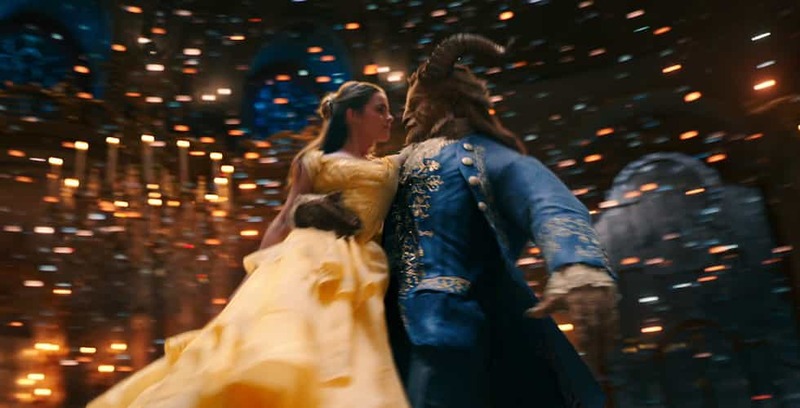 Oddly enough, the Beast almost looked human enough beneath his furry exterior for Belle to really fall in love with. It sort of brought a whole new meaning to her line “new, and a bit alarming”. The casting for this movie couldn’t have been better. When I first heard Emma Watson was playing Belle, Josh Gad was Lefou and Ian McKellen was Cogsworth – nearly the whole cast – I freaked out (in a good way). I doubt there’s anyone who could have filled these roles better. When iconic actors are put in a new movie, sometimes the audience can be taken out of the story thinking about other roles they’ve been in, but Watson’s Belle not only looked the part, but let me suspend my belief enough to forget that I was looking at “that one girl who played Hermione”. The original music was always unexpected, yet welcome in the story. I thought songs from the Broadway musical might be used in the movie, but they weren’t. The new songs are great additions, but not my new favorites. Characters that were one-sided and had no real point other than to further the main character’s story along in the original, now have a more meaningful existence. The largest progression of a character (and the most talked about, even before the film’s release) would be that of Lefou, who goes from just Gaston’s foolish sidekick to a character who goes through his own journey of self discovery. Some small things were changed that were unnecessary. For instance, the line “what lovely grapes” in “Belle” was changed to “what lovely flowers”, which was probably only done to differentiate the new movie from the old. It’s not a big deal, but worth mentioning. “Beauty and the Beast” is rated PG. The film is available in 3D (and 4DX at Regal Pointe Orlando), but other than the scenery and a couple pop-out moments, I’d say overall it’s probably better and cheaper without it. There are no end credit scenes. It’s showing everywhere except in a few homophobic places who have cancelled their showings, or in Malaysia where they wanted to censor Lefou’s story, so Disney cancelled their showings. It’s also only available to those older than 16 in Russia. At Magic Kingdom in Walt Disney World, guests can dine in Beast’s castle at the Be Our Guest restaurant; visit Belle and her father’s cottage and reenact the story with Belle, Lumiere and Madame Wardrobe herself at Enchanted Tales With Belle; and have some of Lefou’s brew or a pastry or two at Gaston’s Tavern. At Disney’s Hollywood Studios, visitors can see a daily stage production of Beauty and the Beast – Live on Stage, and see props from the new movie in One Man’s Dream. On Disney Cruise line, a production of Beauty and the Beast based on the new movie is in development for the Disney Dream. There’s so much more Beauty and the Beast experiences in the parks, even things like a Beauty and the Beast dark ride in production for Tokyo Disneyland. If you’re a big fan, you’ll want to visit the D-Living store at Disney Springs. It’s currently themed to Beauty and the Beast. For our Top 10 Beauty and the Beast related experiences, look no further than here. I loved the new film as well! I thought everything just felt so magical and perfect, and I’m ecstatic that they even wrote new songs for the movie! It definitely answered some questions as well. I always wondered why there was a small village near a huge castle. The backstory to Belle and the Beast was beautiful and just loved watching the whole thing! It was a great movie!